I love decorating my home. I’m a gardener too, so that’s usually something I have to play catch up with. 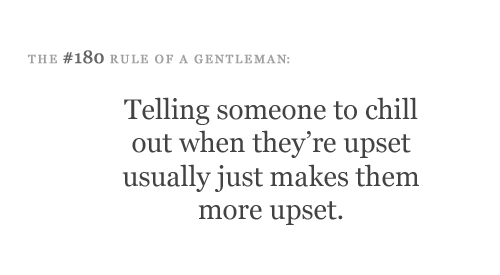 Telling someone to chill out when they’re upset usually just makes them more upset.